Aditya Roy Kapur rose to fame with Mohit Suri’s Aashiqui 2. He was appreciated for his acting skills. He starred opposite Shraddha Kapoor and the movie’s title song went on to become the love anthem of the year. Since a long time, there were the reports that director Mohit Suri is planning another film with Aditya Roy Kapur. 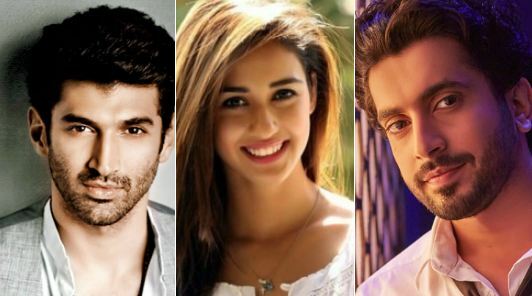 According to a report ,this time director Mohit Suri is going to cast Disha Patani opposite Aditya Roy Kapur in his next. It will be revenge thriller drama. If reports are true, it will be the first time that these actors will be seen sharing the screen space. In a report, it’s said that there will also be a huge set up in Mumbai and the movie will be going on floors in the next couple of months. A while back, there were reports of a fallout being Aditya and Mohit on learning that the film will actually be a love triangle and Sunny Singh of Sonu Ke Titu Ki Sweety fame is being roped in to play the second male lead. According to reports, Aditya had walked out of the film. Previous articleIs Uri Going To Be The First Blockbuster of 2019?